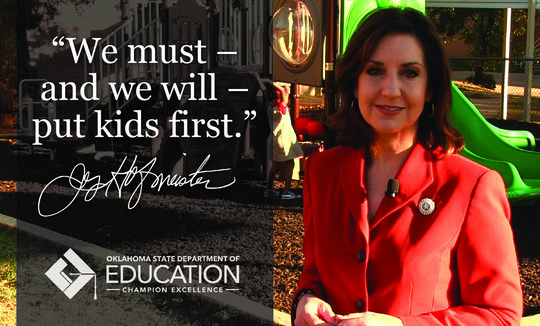 To see a special video message from Joy Hofmeister, State Superintendent of Public Instruction, click here. Our education town halls are in full swing, and we’ve gotten some great feedback on changes you'd like to see in education. Yesterday we were in Oklahoma City, and tonight at 6:30 (Tuesday, Nov. 15), we will meet at Metropolitan Baptist Church in Tulsa. State Superintendent of Public Instruction Joy Hofmeister will lead the discussion. In addition, OSDE has published Draft One of Oklahoma’s Every Student Succeeds Act (ESSA) Consolidated State Plan framework on the agency’s website. Your feedback is key to producing a final product that is robust and reflective of Oklahoma values. Click here to read the draft and respond to the survey embedded in the document. Please encourage staff, parents and other stakeholders to participate as well. Thank you! As educators, we intuitively know that if students’ social-emotional needs are not being met, they will have trouble learning in the classroom. Data supports this. The tough part is understanding how to meet those social-emotional needs. 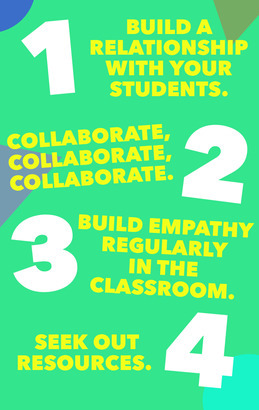 Here are a few tips to help your students in the classroom. 1. Build a relationship with your students. Get to know them, their home life, their friends and their family. Once you build trust, they are more likely to tell you what is going on in their world. 2. Collaborate, collaborate, collaborate. Ask former teachers, counselors, administrators, family members, etc., what they can tell you that you might not know about your student. What has worked in the past? What hasn’t worked? What new ideas might they have? 4. Seek out resources. 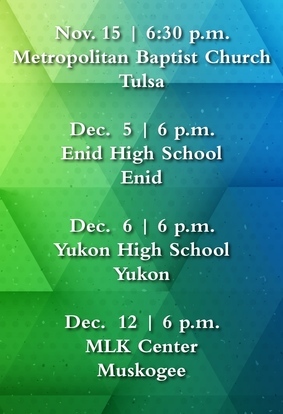 Check out http://sde.ok.gov/sde/prevention-education for information on how to prevent bullying, suicide, violence and substance abuse. Another great tool is located at www.PBISworld.com. Plug in a behavior or need of a student to get ideas on how to work better with the student. 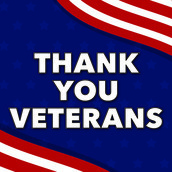 We hope you had a wonderful Veterans Day and would like to remind administrators and teachers to make sure they are receiving credit for their military service. The Oklahoma State Board of Education recognizes up to five years of active-duty service for purposes of state salary increments. To update your military service record, please email a copy of your DD214 to ashlee.parker@sde.ok.gov in School Personnel Records or fax it to (405) 522-1519. Merritt Public School in Elk City has worked to move technology to the forefront, recently finishing construction on a new STEM lab for Grades 5-12. All math and science classes attend the lab weekly. Reading, history and English classes attend every other week. Features of the lab include 3-D printing, a Zspace machine, Cubelets, Ozobots, Circuit Scribe, LittleBits, green screen, Final Cut Pro editing, DJ Phantom drone, model airplanes and LEGO building tables. Two robotics teams practice weekly in the lab, and a news team shoots a weekly broadcast. Teachers began the year by submitting lesson plans to the STEM director and worked together to create a STEM lesson. Lessons are designed to enhance and enrich what is already being taught so teachers do not feel they are losing instructional time by not being in their classrooms. At the OSDE inaugural Literacy Summit on Oct. 28, Dr. Douglas Fisher spoke on the importance of English Language Arts Standard 8, Independent Reading and Writing, as an integral part of a student’s learning experience. He explained reading widely builds background knowledge and vocabulary. 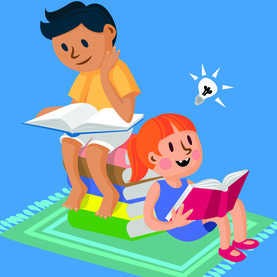 Fisher’s remarks and pointed research confirm that content-area literacy is important, especially in elementary schools. These comments came on the heels of USDE Secretary of Education John King’s release of the guidance for a “well-rounded education” as it relates to the Every Student Succeeds Act (ESSA). The focus on reading widely and independently and its relationship to equity strikes a particular chord with Oklahoma teachers because so many of our students enter school with a significant word deficit. To see charts that correlate reading minutes with academic gain, click here and here. The Oklahoma Council on Economic Education recommends 26 picture books for creative ways to teach economics to grades PK-3. 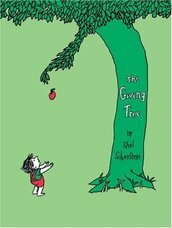 For example, The Giving Tree by Shel Silverstein teaches about scarcity and surplus. From the Mixed-Up Files of Mrs. Basil Frankweiler by E.L. Konigsburg shows the costs and benefits of spending and saving. The Babe and I by David Adler illustrates the need for money and how it is earned. 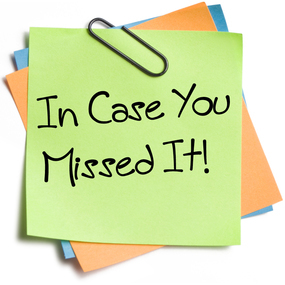 To see the list, complete with AR and grade levels, along with other free lessons in economics, click here. 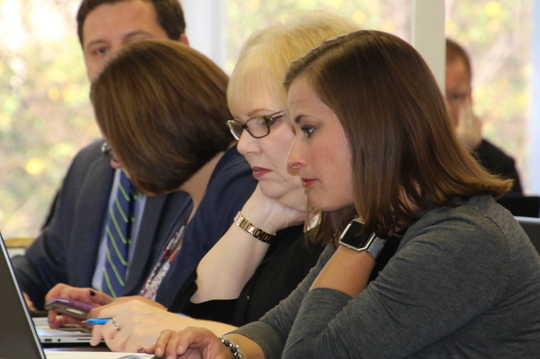 FINAL REPORT COMING SOON: OSDE’s Oklahoma Accountability and Assessments Task Force met last week for the fourth time in Oklahoma City to continue work on a final report that will be presented to the Oklahoma State Board of Education by the end of December. The 95-member task force, which represents a diverse range of education stakeholders, is collaborating with OSDE staff to craft a stronger, more meaningful and more accurate measure for Oklahoma schools to replace the old A-F Report Card system. 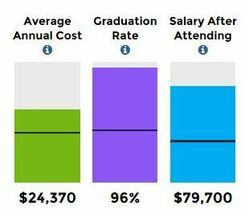 The U.S. Department of Education recently released its first annual update of the redesigned College Scorecard — available at CollegeScorecard.ed.gov — to ensure that students and families have the most up-to-date, comprehensive and reliable information available on colleges, all in an easy-to-understand format. The site allows visitors to sort and filter their search results to easily compare schools and decide which college makes the most sense when considering costs. Congratulations to Shantell Barbour, a fifth-grade teacher at Putnam City’s James L. Dennis Elementary School. 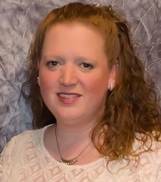 Shantell (pictured) was named the Oklahoma Technology Association’s Teacher of the Year during the annual Encyclo-Media conference in Oklahoma City. She has worked to create an all-grade maker space within her school and instituted “Tech Tuesdays” to provide after-school training to her fellow teachers. Some of her favorite apps are Tellagami, iMovie and Chatterpix. Also at Encyclo-Media, Oklahoma School Librarians, a division of the Oklahoma Library Association, announced two award winners. Branden Grimes, a seventh-grade science teacher at George Washington Carver Middle School in Tulsa, won the Barbara Spriestersbach Award, recognizing a teacher who practices cooperative instructional planning and teaching in an exemplary manner with a library media specialist. Kelsey Gourd, librarian for Lakeview Elementary School in Norman, won the Polly Clarke Award, which goes to a school librarian instrumental in the establishment of an exemplary library media program that serves the instructional needs of teachers, students and administrators. GOING THE DISTANCE: Howe Public Schools is not letting a teacher shortage stop it from offering chemistry to its students. Through video conferencing and distance learning tools, students are doing lab experiments alongside their teacher, who is 140 miles away. To read the story, click here. TEACH OKLAHOMA: Woodward is changing its teaching culture. By embracing professional learning communities, it is creating open communication between teachers for a flow of creative solutions for students. It is also offering a Teach Oklahoma class, introducing high school students to the basics of the teaching profession. To read the story, click here. HOW DO THEY DO IT? Hilldale Elementary in Putnam City went from a D- to a B on its school report card in addition to making numerous other gains in student achievement. Same teachers, same dedication. So what changed? To read the story, click here. Forensic artist Harvey Pratt, former first lady Kim Henry, actress Alfre Woodard, movie director Fritz Kiersch, hip-hop artist Jabee and actress Megan Mullally.